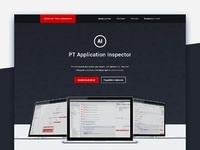 The landing page for PT Application Inspector. The key action of the landing page is to tell about the product and entice the user to order a free trial. 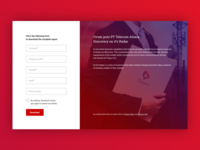 Positive Technologies Application InspectorTM (PT AI) helps enterprises address web application vulner- abilities using a unique hybrid approach that leverages the best of static, dynamic and interactive testing methods in a single solution. This approach allows accurate, e ortless and safe testing throughout the application lifecycle without the need to install and con gure the application in a test environment.